In honor of Puglia Wine Week and to bring you a special edition from the hills of Italy, I asked my brother to contribute a guest blog recapping the honeymoon highlights from Puglia. So much to say and eat, so grab a glass of vino and enjoy! When we were choosing our honeymoon destination it was pretty daunting to know that we could go anywhere in the world we wanted and that we were about to escape for three weeks of uninterrupted freedom. Since both of us are gainfully employed by companies we do not own, it was pretty clear to us that this opportunity doesn’t come around all that often. Because of that, the paradox of choice kicked in in a big way and we struggled to narrow it down to a short list. We made our way through all of the continents and ultimately came to the conclusion that we wanted to go somewhere with good weather, great food and to a place that neither of us had been before. After checking the September weather patterns of almost every place on earth, our final decision was to travel to southern Italy and make our way by car from Puglia, through Calabria and into Sicily. Interestingly, we went into the trip thinking that it was going to be all about Sicily, but now that we are home it is clear that the star of the three weeks was our time in Puglia. 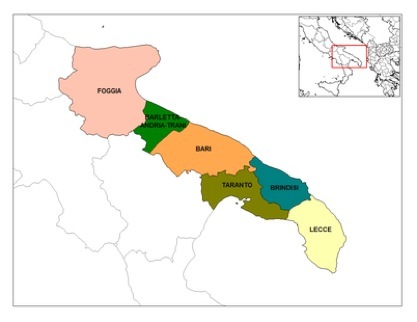 Puglia, for those that don’t know, is the region of Italy in the “heel of the boot”. Puglia, or Apulia, is an interesting place. It is more agricultural, than industrial, and it is definitely a much less popular tourist destination than some of the bigger cities like Rome and Florence or areas like the Cinque Terre and the Amalfi Coast. The accommodations in the area are based largely on the concept of Agritourism, where people stay at farmhouses, or “Masserias”, that were fortified back in the days when the landowners had to deal with foreign intruders and have since been converted into very comfortable bed & breakfasts. The place we stayed was called Masseria Torre Coccaro, a 39 room country estate halfway between the airports of Bari and Brindisi and surrounded by acres of olive groves and vegetable gardens. Set in stables from the 1600’s, the restaurant offered up some of the best food on our trip. First off, their breakfast put the rest of the hotels we stayed at to shame. As for the rest of the meals, they collaborated with local farmers and bordering Masserias to source the best meats and cheeses. They had a network of people that help them find wild products like porcini and cardoncelli mushrooms, asparagus, snails, myrtle and berries. 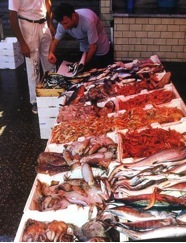 The nearby fishing village of Savelletri brought them fish daily, including freshly-caught scampi, shrimp, tuna, snapper, and local spiny lobsters. To top that off, almost all the fruits and vegetables served are produced on the estate. This wasn’t something we planned to do, but when we arrived at the property and learned that there was a school on site we couldn’t pass it up. We had a ton of fun with chef Donato, learning how to make typical Apulian dishes including fresh bread, 6 or 7 different types of pasta, a simple pizza with tomato sauce, fresh mozzarella and capers, a fried version of a calzone called “Panzerotto” that is unique to the region, sautéed “sweet olives” that were picked that day and unlike anything I have ever had, an eggplant terrine and baked fish (Orata) with fresh vegetables. Luckily we weren’t forced to eat everything we made, but we were able to sample most of them. Needless to say, we didn’t have dinner that night! Another treat that was offered up on arrival was a visit to the farm just down the road that raised cows and made fresh mozzarella and burrata cheese daily. For those that don’t know, “burrata” means buttered in Italian and is usually made from mozzarella and cream. The outer shell is solid mozzarella and the inside usually contains both mozzarella and cream. That said, this farm also made another version of burrata filled with fresh ricotta, which was new to me and even better than the classic version…who knew it was possible. Believe it or not, we spent 45 minutes with 3 workers that spoke about 3 words of English, collectively. It could have had something to do with the free samples they kept pushing on us, but we just couldn’t tear ourselves away. Another masseria, Il Frantorio, just down the road and on the way to the town of Ostuni, gave us one of the culinary highlights of the trip. They served up a seven course meal that was both creative and delicious. So much so that we didn’t realize that the entire meal was almost entirely vegetables (sourced from their garden on the property of course, BUT vegetables nonetheless!) It wasn’t until the last main course, when a filet of local swordfish was served, that we looked at each other and said “wow, I didn’t even notice”. 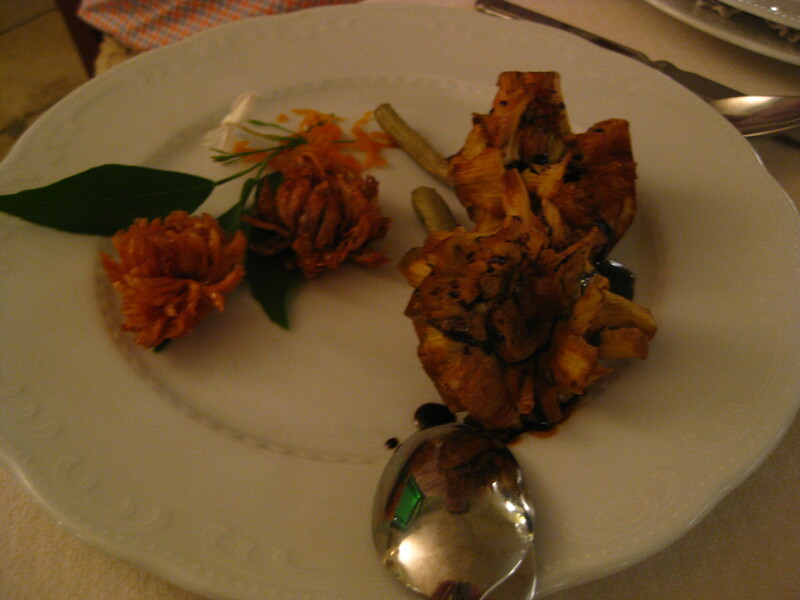 The highlight of the meal was a pair of fried carciofi (artichokes) drizzled with reduced sweet wine alongside lampascioni fritti (hyacinth bulbs) with orange honey. Pretty simple, but super delicious when paired with a glass of late harvest Primitivo di Manduria. In the town of Ceglie Messapica lies a restaurant called Al Fornello di Ricci that Mario Batali called the best in Puglia. Needless to say, we are suckers for marketing, or at least Batali hype, so we had to check it out. The meal did not disappoint. 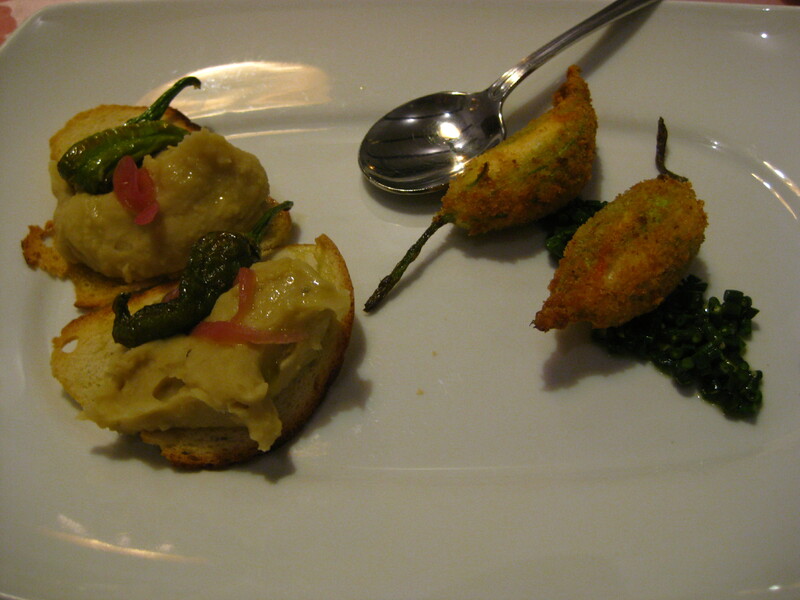 Across the board, the dishes were simple, but the flavor of each was intense. We knew we were in the right place when the tasting menu kicked off with a selection of eight different antipasti, ranging from simple beet chips to fried zucchini blossoms stuffed with fresh ricotta. After that we had two pasta courses, a main of locally-raised lamb, and dessert — each course paired with a different wine and included in the fixed price. Delicious. The only downside was the 45 minute drive back to Coccaro after the meal…as you might expect, driving on Italian country roads while in a food coma isn’t usually a recipe for success. I could probably keep going, as there are tons of other great meals and experiences that I left out, but it’s really just more of the same goodness. So as the Italians say, “Basta!! !” or “enough”. Overall the trip to Puglia far exceeded our expectations and the fact that it never felt touristy and overrun just made it that much more special. We came home with the feeling that we had somehow outsmarted the rest of the tourists in Italy, standing in line at the Uffizi in Florence or craning their necks to take in the tower in Pisa. We couldn’t be happier with our decision to spend a week there and in some ways wish it was longer. Our only fear now is that we don’t get back before the rest of the world figures out what a great region it is!